Debt sounds simple enough. It’s money you owe someone else. However, it gets more complicated as you take on more debt (and different types of debt), so it’s important to educate yourself on the subject. Once you understand your debt, you can begin to whittle it down so you don’t have so many financial obligations hanging over your head. Before you can begin paying off debt, you need to know what you owe, the interest rates for each debt and the payment schedule you’re currently on. Some payment schedules are more flexible, such as those associated with credit card debt, while others are fixed, such as rent and car notes. Create a list of those debts and any details that are pertinent. You might rank them in order of importance, such as paying off higher-interest debt first, so you can prioritize your payments in the future. This is debt you have accrued on one or more credit cards. It usually comes with a variable interest rate, and you have to pay a minimum amount each month to avoid having the account put in collections. Minimum payments can be as low as $25, but remember that paying the minimum will force interest to build up faster. You have to live somewhere, right? Paying your rent or mortgage should rank at the top of your list. Rent is paid to a homeowner, while mortgage payments go to a lender. With a mortgage, you pay interest on the loan principal until you pay it off in full. If you borrowed money for school, you must now pay it back. Most student loans come with relatively low interest rates, and there’s some flexibility in repayment. You can sometimes get student loans deferred, for instance, which gives you more time to pay. Unless you have enough cash to buy a car outright, you have to take out a loan. You’ll make installment payments, just as you would on a mortgage, until you own the vehicle. A medical emergency can produce more than pain and misery. After you walk out the hospital door, you receive a bill for the services you received, and you might have to work out a payment plan. Even routine tests and doctors’ visits can add up and become part of your total medical debt. If you’ve entered into a contract for products or services, and you’ll pay off what you owe over time, you have contract debt. You might have to spread out payments for a new roof on your house, for instance, or a delivery of home-based business supplies. When you get a parking ticket or commit some other legal infraction, you have to pay the court. You’ll receive a fine in the mail, in most cases, and you must pay the amount owed by the due date. Companies that provide gas, water, electricity and other utilities often give their customers some leeway when it comes to paying their bills. However, if you don’t pay at all, the company can shut off your utilities. Even if you get them turned back on with another provider, you still owe that debt. There are other types of debt, as well, so you’ll want to get familiar with what you owe and how those debts impact your credit and your finances. What Are the Best Next Steps? Now that you’re familiar with different types of debt, it’s time to move on to more complex tasks. Understanding your specific debt means laying it all out on the table so you know exactly where you stand financially. Start with your trusty calculator. Add up all the debt you owe, no matter the type, so you come up with your total debt balance. This is what you need to pay if you don’t want to owe any money at all. Keep in mind this basic calculation won’t include interest, late penalties or any other fees you might incur on the debt. You can also add up separate categories of debt so you can look at them in chunks. For instance, make one column for credit cards, another for medical debt and so on. Total the amounts assigned to these categories too. To make sure you fully understand your obligations, add the interest rates next to each debt entry. Interest rates can vary widely. You might pay 26 percent on a credit card and 3 percent on a mortgage. It’s still helpful to know how much your debt grows each month. You might create several documents or spreadsheets that deal with debt. The more you understand what and when you owe, the faster you can pay down debt and become financially healthy. Even if you owe a large amount of debt, you can’t start working your way out of the problem until you fully comprehend the task in front of you. If you’re married or if you share finances with someone else, don’t do this alone. Make sure you’re both honest and candid with one another about your finances. If you have a credit card bill that your spouse doesn’t know about, now’s the time to ‘fess up. Decide that you’ll tackle your debt together to create a brighter future. Every cent of debt you owe matters, but some debts demand more urgency than others. For instance, hospitals and other medical institutions often give their customers lots of latitude. You can pay off hospital bills over several months (or even several years) without putting your credit at risk. Just make sure you communicate with the provider and get your payment plan in writing so there isn’t any confusion. Other debts, such as mortgages and car notes, have very little flexibility. The lender might allow you to skate for a month or two, but then you must get completely caught up. Otherwise, the lender can foreclose on your house or repossess your car. When prioritizing debts, think about what you need to survive. Everyone needs shelter, transportation, medical care, food, water and electricity. Make sure you cover the necessities before you start paying down debt on credit cards, for instance, so you don’t put yourself in a more dire financial situation. Using the entries you created in the Add It Up section, rank all of your debts in order from most to least important. Consider the leniency for payment, the interest rate and the size of the debt. You might prioritize debt differently from someone else, so know that this is a personal decision. 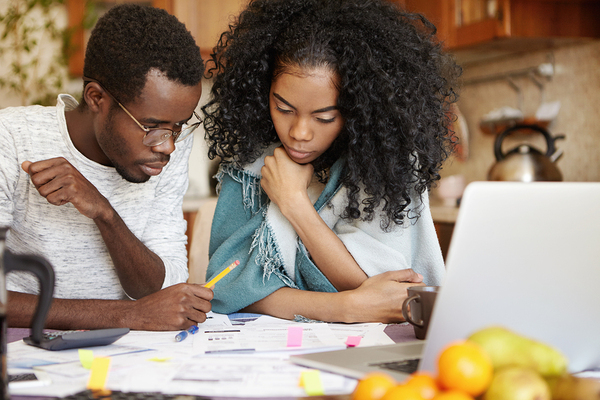 Debt might seem complicated, but you’ll become more comfortable with the terms and issues related to debt as you explore your own financial situation. If necessary, you can call lenders and other people to whom you owe money so you can discuss exactly what’s expected of you. Once you understand your debt, you need a plan to pay it down. Create a list of steps you need to take to reach your financial goals, then decide how you’ll change your financial habits so you can achieve your goals. You might also need a few tools to help you allocate funds and pay down debt. Consider developing a budget so you have deeper insight into your finances and how you’re spending money. A Green Dot Prepaid Visa® Debit card can also be helpful for managing your monthly debt. You can simply get a prepaid Visa card, add funds each month and use it to pay your bills online. As times goes on, update your debt records. Keep changing the numbers to suit the current debt amounts so you see your progress unfold on paper. This is an excellent motivator. Remember getting to know your debt is a process that can’t happen in a couple of hours. You might need time to adjust your financial habits and to get accustomed to spending less money. If you succumb to temptation, chalk it up to a lesson learned and return to your good money habits. Beating yourself up over an ill-advised splurge won’t help you tackle your debt any faster. Understanding your debt gives you power over your finances and leads to a path toward paying down debt. Get a Green Dot Prepaid Visa® Debit card today so you can use it as a budgeting tool to manage your monthly payments. (View Green Dot’s simple fees here.) The faster you pay your debt down, the quicker you feel secure in your finances and money management habits.